The American redstart is a delightful small bird, one of the most delightful warblers to flit through Central Park. 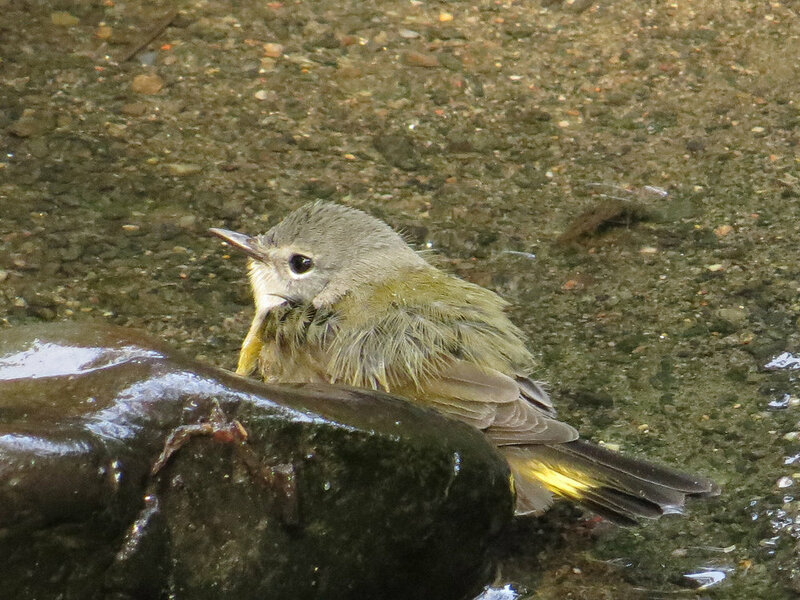 On September 10, 2016, I was blessed to watch a young redstart having the best time taking a bath at Triplets Bridge in Central Park. I did a fun video, and got some nice photos. Some info on the redstart can be found on Audubon's Web site. I was able to get some nice photos, but the video says it all!